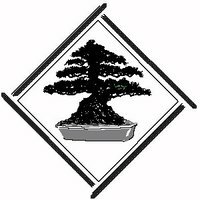 Dai Ichi Bonsai Kai will be conducting a bonsai workshop at the Gardena Valley JCI. Attendees will get instruction on using special cultivation techniques to produce their own bonsai to take home and continue the cultivation process. The participation fee is $20.00 per student. This will include instruction and a tree to take home. There is a limited space for this workshop. Please call the JCI office at (310) 324-6611 to reserve your place, or email info@jci-gardena.org. GVJCI . Last modified Aug 30 2013 5:21 p.m.